We bring the classroom to you with STEM workshops by MindKits EDU. 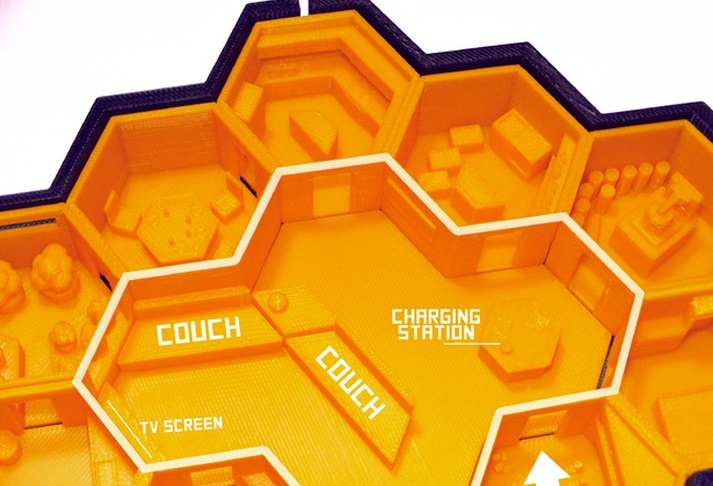 3D Printing, Robotics and Electronics have never been so accessible! As technology becomes increasingly important in schooling, it’s clear to see the amazing potential technology has to amplify learning. 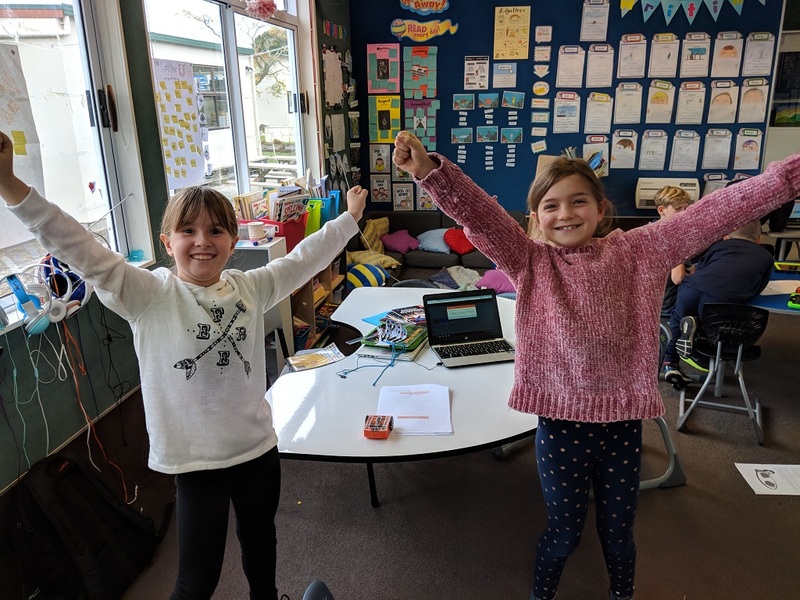 To assist teachers through the frustrating experience of trying to implement this learning we’ve come up with the MindKits EDU STEM Workshops. The MindKits EDU van offers a foundational learning experience and covers a range of important technology education – backed by lesson plans. Our training days provide teachers and students with hands-on understanding and the confidence to take it to the next level without us. your educators to continue the lessons within your school. per day, or three workshops over three days for educator PD. All of our 3D Printing workshops train students to use a free and fun 3D design software called Tinkercad. Tinkercad is a powerful platform we like to think of as ‘digital lego’; an easy and quick to learn foundation that allows student to visualise their ideas. Explosive creativity and team working with unique custom Water Bottle Rockets. 3D Design - 3D Print - Assemble - Decorate - Launch! This super fun 3D design project mixes modern digital skills with traditional hands on making. 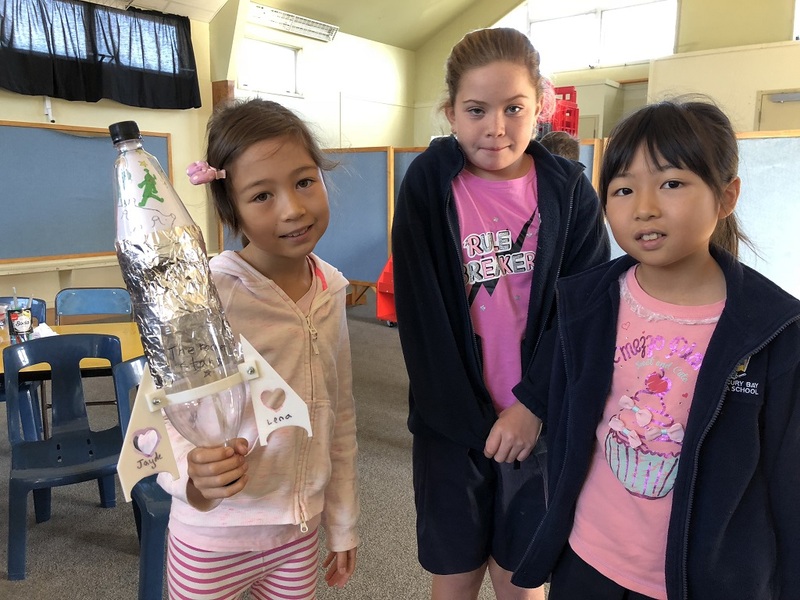 3D Print your designs and build your rocket using tactile assembly with tools and hardware like screwdrivers, spanners, nuts and bolts; then stylise and personalise your team Rocket in preparation for Launch! There are different ways to build and shoot a bottle rocket. It can be very simple with just a cork, valve and a bicycle pump, to quite difficult with a special firing mechanism and a parachute. Launching a bottle rocket is a really exciting thing to do and you can try to get as high as possible! It is however important to know how a real rocket works exactly and how you can apply this to your own bottle rocket. What should the wings look like and where exactly should they be? Should the nose cone be pointed or round? Is your rocket balanced properly? Key Points: Physics, energy, propulsion, thrust, friction, mass, compression, product design, 3D modeling, making. 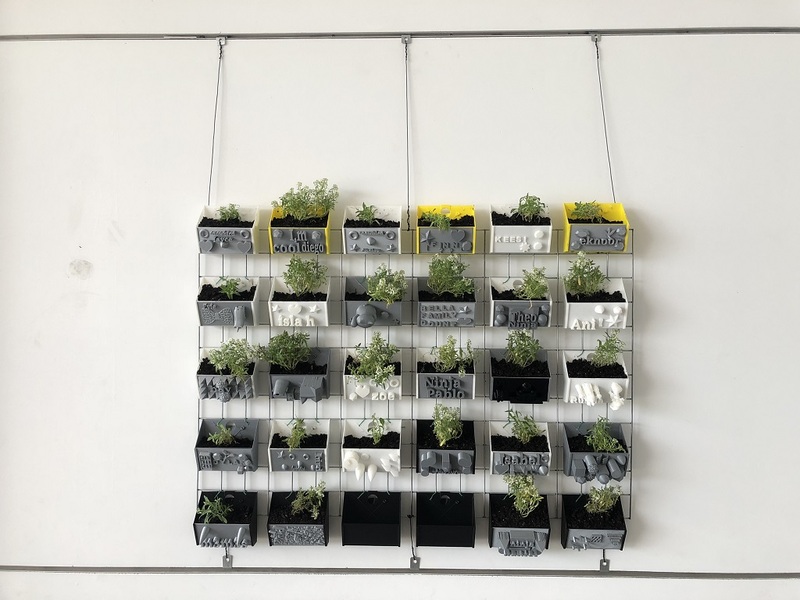 Playful self expression through 3D design, in this project students learn Computer Aided Design by crafting their own personal pot planter. No limitations, no boundaries, from Skateboards to Unicorns and every Star Wars reference in between students love being free to learn through play and experimentation. The result is a living art work, a hive of youthful creativity with all the students creations mounted together to form ‘The Living Wall’. The year is 2024. After a long 3 month journey in a small spacecraft, you and your fellow pioneers have touched down on Mars. Your team's mission is to design and build the Mars colony base. Students need to collaborate and discuss how best to set up a safe, sustainable base which accounts for not only the needs of your crewmates, but the growth of the colony. Considering such points as environmental conditions, transportation, natural systems and local resources. Each student designs their own building that will be 3D printed allowing each design to connect together to form the final Mars Colony. Students will develop key skills such as Collaboration, Planning, Systems Thinking and 3D Design. With more built-in sensors than any robot in its class as well as lights, sounds and following lines, avoiding obstacles, communicating with other Edison robots and you can even connect LEGO. Not just a remote-controlled toy this tough little robot expands to match the imagination, allowing for almost unlimited learning applications, we feel Edison makes true robotics education accessible to students of all ages! 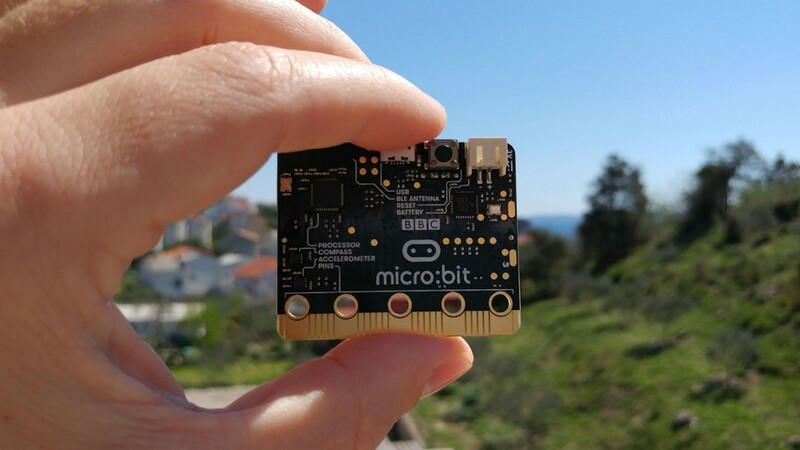 Micro:bit is a tiny programmable computer, designed to make learning and teaching easy and fun - Connect it, Program it, Download it, Play it, Master it! Students can use BBC micro:bit for all sorts of cool creations, from robots and musical instruments to multiplayer games – the possibilities are endless. Our mini project workshops cover a range of different activities and resources, from easy experiments to creative coding challenges. 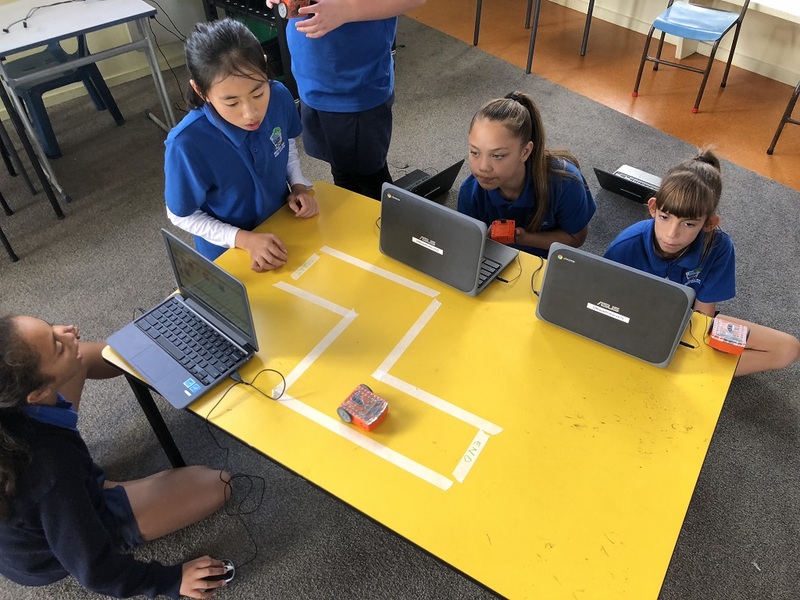 We love teaching Micro:bit because it is so widely used in schools around the world; with such a large user base there is a wealth of resources and lesson plans available geared towards primary and secondary school teachers. We love seeing the things educators and their classes invent - they bring us closer to a world built by everyone exploring their ideas and reinventing the things around us. As a soft intro to electronics we designed the Interactive Mural project that combines the traditional tactile materials of the classroom with simple circuit wiring so students can quickly bring their creations to life. 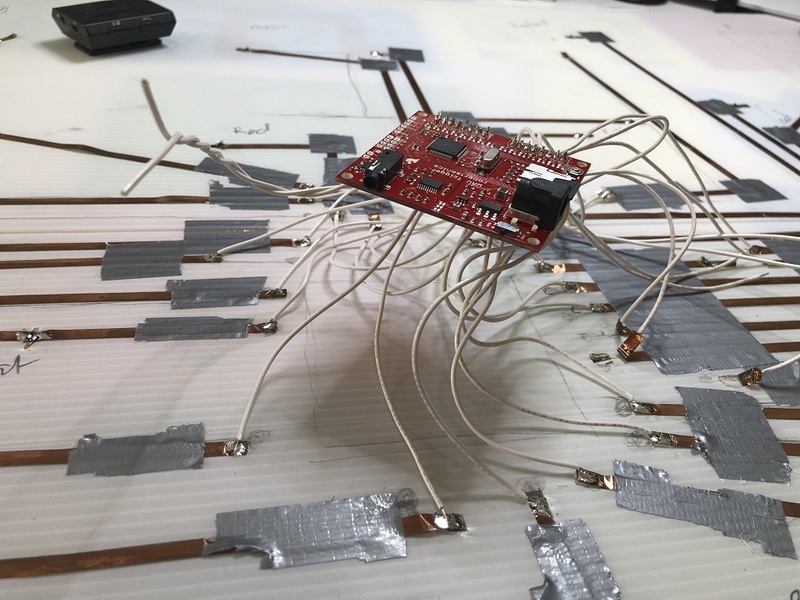 This project requires no coding experience and focuses more on basics such as how a circuit works, signal flow and electrical connections. For this workshop we adopt a focus on Identity through Visual and Audial expression; each student drawing their own artwork as well as sourcing and recording a complimentary audio sample. The resulting collaborative collage is a digital interactive art mural that the students can touch and playback there recordings. 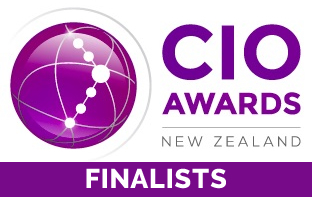 If your school is outside the 30KM radius from Auckland CBD, please let us know. We can work around anything but we may need to make additional arrangements.